There’s nothing quite like autumn in the Adirondacks — the brilliant reds, vibrant oranges and pulsating yellows. And that’s just the construction barrels, road cones and flashing signs warning people to find someplace other than the shoulder of Rt. 73 in Keene Valley to park their Subarus. Welcome to the wilderness — not to be confused with the Scranton/Wilkes Barre stretch of Interstate 81. The authorities had to do it. I guess. 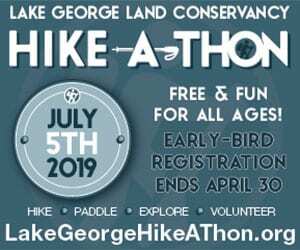 Trailhead parking lots, particularly at Giant and Cascade mountains and environs, had overflowed, and hikers’ cars were lined along the highway in numbers normally associated with mile-long yard sales. It is an ongoing safety hazard, no doubt, not to mention the stresses placed on the environment when what seemed to be entire civilizations were storming a few select trails in pursuit of a selfie on a mountaintop with their labradoodles. Yet we want every last person who visits to enjoy the park, at least we should. A society that appreciates the outdoors is better for it, and the outdoors itself ultimately benefits from these expanded constituencies. And the park has plenty of territory to accommodate everyone, if only they would fan out a bit. So it became the job of one and all to steer people away from the Keene Valley corridor and into the billions of scenic nooks and crannies that vacationers seldom seem to discover. And the top theory was that if parking were strictly limited at the popular trailheads, hikers would have no choice but to find other mountains and trails to explore. Hence the barrels, cones, shuttles and other stay-off-of-my-lawn paraphernalia intended to increase safety and perhaps redistribute the hikers in the process. Attempts to predict and control human behavior are always fascinating, because they almost always produce entertaining outcomes. It’s like the elliptical billiard balls in The Mikado: you know they’re going to go somewhere, it’s just not going to be where you’re aiming. And so, during the Columbus Day weekend, Marginally Predictable Result No.1 was that the no-parking zones simply pushed the cars that much farther from the trailhead … where they were dutifully parked on the roadside after the No Parking signs ran out. The hikers then walked back to the trailhead from there — effectively tripling the distance they spent on the shoulder of Rt. 73 dodging traffic. So the safety measure adds, for some, its own element of danger through the law of unintended consequences. It’s like Gallagher said about traffic lights: “People, a yellow traffic light does not mean ‘put it to the floor.’” But that’s exactly what happens. Why would people walk all this extra distance rather than finding some alternative hike? Hard to tell. Probably for the same reason they drive across three states to buy gas that’s 6 cents a gallon cheaper. They appear to be welded to their preordained destination, and after months of planning and becoming emotionally attached to the chosen destination, no traffic cone is going to interfere. Marginally Predictable Result No. 2 was at least some of the people who were soured on the traditional Cascade climb because of the shuttle (they can get public transportation at home) all went to climb Hurricane, to the point that over the Columbus Day Weekend, the Hurricane approach looked less like a recreational trail than a refugee camp. We had to know this was coming, right? Because Hurricane is the same hike as Cascade. Roughly the same distance, roughly the same amount of uphill, roughly the same view. At least it confirms something we already suspected; this is what hikers want. In the Adirondacks, if hell were 3.1 miles distant and had a 1,700-foot elevation gain and a bald summit, Satan wouldn’t have to do any recruiting. Forget for the moment that as a result of Marginally Predictable Result No. 1, hikers on, say, Giant, are now completing a round trip of 10 miles instead of six. It’s that three-mile one-way sweet spot that people seem to like. I will say though, in my time here I’ve never heard of too many major crashes at the intersection, probably because at the very least if forces drivers to pay attention. So maybe it will work for those who hope to legislate hiking options through parking restrictions. But probably just about the time that we have it all figured out, people will become bored with the Peaks, and all the time energy and money spent trying to keep people away will instead be spent trying to bring them back. Photo of cars lining Route 73 by Mike Lynch. Tim, can you please let us know where the trailhead to Hell is located? Since you made fun of the things say went wrong. Can we reason out that the things you omitted when right? That is you made no mention of the new trail to Mt Van nor how the bus service to Cascade TH went. Great article. Getting hikers to “fan out” sounds like a worthwhile goal. On the other hand. Leave No Trace promotes concentrating impact versus spreading it out so why not build sufficient parking at the Cascade and Cascade-ish trailheads, harden the hell out of the trails, post Stewards at the bottom and the top, place and maintain lots of porta-potties and be done with it. Then we can all go back to doing what we were doing before the “overuse” drumbeat got going. This. This. This. This. This x 1000. Neil is correct. And the “humor” article is spot on. I live right here in Keene, and have watched this unfold. The only place I would differ with the writer is in his use of “Marginally” predictable. In fact, these outcomes were as predictable as the sunrise. I predicted these outcomes, loudly and repeatedly, in online forums, letters to DEC, letters to ADK, letters to my state representatives, etc.). The current program is dangerous, and shockingly stupid. Piecemeal solutions, pushing the problem around, and a steadfast refusal to consider any alternatives appear to be the order of the day. This is greatly INCREASING the risk of a traffic accident, and doing nothing to improve conditions on the trails. This article is mildly funny. But it won’t be funny any more when a pedestrian gets killed doing the extra highway walk to the trail. Then, there will be a reckoning. The better solutions that would actually help are: adequate, safe, off-road parking; full time paid trailhead educators; restoration of the trail maintenance budget; and restoration of the Ranger force. Sadly, these solution are ignored. If this is as obvious to you as it is to me, please add your voice. 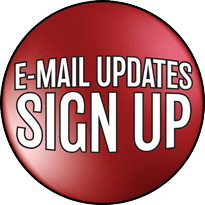 Write and speak to your State leaders: Betty Little (NY Senate), Dan Stec (NY Assembly), and the DEC.
Education, infrastructure, enforcement, in that order, are the most effective management tools. The irony is, DEC organized a “High Peaks Think Tank” back before this really blew up that included a diverse group of stakeholders and state agency representatives (DEC & APA). The group identified education as the single most important and effective means of dealing with visitor issues in the High Peaks. Unfortunately, it appears that as the pressure has grown they have shifted away from education and towards enforcement (parking restrictions), with little meaningful change in infrastructure. What really needs to happen is everyone needs to take a step back and call for a good robust planning process. This should include an understanding of user behavior and desires, assessment of current vs desired conditions, assessment of staffing needs (DEC, Summit Stewards, trail crew, volunteers, etc. ), infrastructure needs (trail improvements, parking lots, vault privies), and finally an analysis of possible management actions. This planning process should include the entire High Peaks Region, so we don’t end up with on UMP that decides to keep a trailhead open (ah hem, Pitchoff West) but another UMP that decides to close the trailhead across the street. Anything that doesn’t come out of such as process is more likely to fail, have unintended consequences, and not address any real problems. This brings another issue to the fore and I want to make very clear that it does NOT represent opposition to Scott and everyone’s else’s plea for more Rangers – staffing levels in Lands and Forests is abysmal at DEC. The Foresters & Natural Resource Planners necessary for your spot on suggestions simply do not exist. The work required to produce a good, science (empirical data) based UMPs that considers LNT and Limits of Acceptable Change principles is enormous and well beyond the capacity of the current staff. Adding acres and infrastructure and users WITHOUT adding qualified personnel to create, implement, and monitor the conditions down the road makes the current planning process untenable. Agreed 100%. The Forest Rangers are getting a lot of support right now because they are speaking out about how they are being affected by limited staff. They also happen to be a DEC workforce that is very public facing. If other DEC staff were similarly organized I think this issue would gain more ground. In the meantime, I don’t think we should settle for the lack of good planning. Perhaps the issues surrounding visitor use in the High Peaks will tie all of this together and result in a meaningful increase in DEC staff. Of course, that would require advocacy groups to stop offering solutions that also aren’t the outcome of a robust planning process, and instead focus on advocating for good planning and the staff to do it. I agree. Some cause and effect notes I have made…Many people are willing to walk up to 1.5 miles on the road just to get to the trailhead when they had a committed plan for a specific destination, especially over night users. I had one substantially dehydrated hiker a few weeks ago that probably would have made it out on their own if not for the additional mileage at the start. Instead we had to commit rangers for the rescue. Same goes for the people who venture in without headlamps then get stuck and dial 911 for help. Obviously that is negligent of the user but it happens frequently and requires a response. The additional road walking makes that scenario more likely. The No Parking signs are not functional without continued Law Enforcement presence and once one car is parked illegally a 2nd, 3rd and 50th quickly follow. The white painted parking spots do work for getting more cars in at the lots but the white striped areas meant to keep people from parking in certain spots is even less effective then the no parking signs. Despite living in the information with endless knowledge in our hands and ample opportunities for prior research the hikers of today are less prepared, have less knowledge and seem more oblivious to risk assessment than what I saw at the start of my career. We seem to be on a downward trend with this and I am not sure why when the information is so much easier to obtain these days. I agree with your assessment. Stewards are helpful, but only after the tourist has arrived at one of the manned trailheads (most trailheads are unmanned by stewards). But stewards lack the physical presence and authority of a Ranger (think Pete Fish). As you have stated many times, only an increased feet-on-the-ground Ranger presence coupled with intelligent, forward-looking resource management and planning by DEC will turn the trend around. 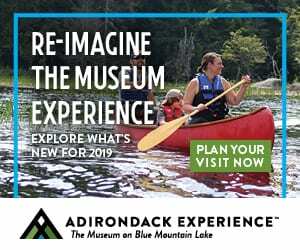 Apparently, the current assumption that tourists will show up at trailheads prepared for ADK conditions and basic hiking knowledge is flawed and unrealistic. @Boreas. Where is your license and permit campaign? Permit to park, license to hike, license to do this and that? This is the perfect opinion piece for your unsubstantiated ideas. We are all waiting Boreas… Hahaha! LOL! Still chewing that bone? Substantiate an IDEA?? You are simply a neophobe. Let’s see what happens in the long run. @Boreas. Hahaha! One can always identify a losing argument when the loser attacks his adversary ad hominem, which you have and continue to do. Also, since licensing is not new, even your ad hominem attack lacks credibility. You can escape your unsubstantiated claims by simply stating that you have abandoned your hiking license and parking permit claims -or- provide the proof everyone is waiting to hear. 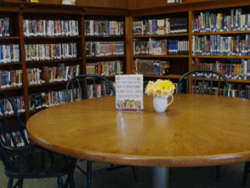 One pertinent question – why does this IDEA worry you so much?? Scairt? Obsessed? Anyway, thanks for keeping the idea alive! Meanwhile people keep happily buying their hunting, fishing, trapping, guiding, and numerous other licenses. Proof enough for most people of the advantages of licensing over permitting. Can you imagine getting a hunting permit for the date and place you wish to hunt? You can hide behind your opinions and silly attacks, but restrictions in the HPW are in the wind – whether it be permits, severe parking restrictions, or reservations – with permitting seemingly both the most and least popular. As I have said before, licensing is just another tool coming from an education perspective. You don’t have to agree with it. Your opinion is just one of many. We can choose to be part of this planning process or just sit back and take silly pot-shots at any new idea that comes along. But stalking and attempting to ridicule me on the forum isn’t going to change anyone’s mind or make the idea go away – quite the opposite. Thanks for the help! Ha Ha! I bought a Northwest Forest pass from the USFS to do some hiking/backpacking in Washington a while back and it seemed like a great way to account for and support back country use. Wasn’t terribly expensive and took the form of a simple hang tag. Please provide proof that a hiking license (or any other license) provides for education on a continuing basis. You continue to make this claim, but never support the claim. As for the remainder of your rhetoric, well it is just that, random dicta and ad hominem attacks not worthy of any discussion. Boreas, I realize this may be difficult for you – try to stay on topic – we are all waiting for your proof. Well there it is. This is the third article where @Boreas has made the claim that essentially: licensing somehow magically educates license holders on a continuing basis. When asked for any proof whatsoever the result is the same: A resounding silence. My silence is because most people can figure out you can’t prove something without actually testing it – just as you can’t disprove an idea without testing it. Read up on the scientific method for how to prove or disprove an hypothesis (idea). What is the point of arguing for proof either way if it has never been tried? I believe what you are referring to is feasibility. 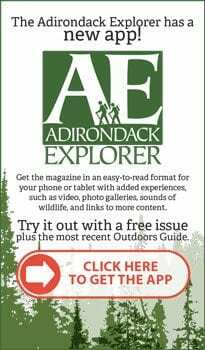 I maintain that licensing in some form for this activity is feasible because licensing for other outdoor activities has a long track record in NYS and across the world. This idea has never been tried in the Park. It is only being offered as an alternative or addition to suggested reservation systems and permitting, which are different. But at least you have stated below that you feel all of these methods are an impingement on peoples’ rights – and that is a valid point! I AGREE!!! Licensing and certification ARE methods of restricting some peoples’ rights to ensure safety or resource protection across a larger population of people. 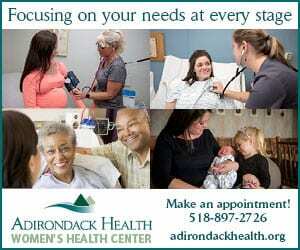 Physicians have licenses to help ensure safety for the public. Drivers have licenses to help ensure road safety. Hunting licenses for hunter safety and resource management. Etc., etc.. In other words, if basic requirements to do certain things benefits the general public, it is generally regarded as a good thing. Whether or not you agree with this sentiment is nothing more than your opinion. Evidently society feels the advantages of these requirements outweigh the downside as it helps to protect their safety and public resources. There will always be people who do not agree with this concept as they feel individual rights trump public rights. This is natural and will never change. It has always been an issue in any free society. I don’t see the point of arguing my point with you on the subject beyond what I have stated in this forum already – so if I ignore you, so be it. If you desire more details, search the forum for comments on the subject and its implementation I have made to others over the last year or two. @Boreas. Another ad hominem attack filled with rhetorical hyperbole. The notion presented above that testing is required to provide proof with respect to licensing as an educational magic wand is unfounded. Licensing is not new; its use and mandamus has been around for centuries, hence a wellspring of empirical data should exist to support the claim that licensing magically educates on a continual basis and magically changes one’s character and morality – that is – if you can find it. The entire comment above is not an answer by any stretch of the imagination – just an excuse to avoid supporting a claim, and a poor one at that. The entire comment above is nothing short of restating the same claim over and over and over again ad nauseam in a variety of ways with no supporting evidence or proof that tips the scales of reason. Ad hominem attack? You are mighty sensitive for someone who attacks me with every comment I make – or anyone else who disagrees with you. Poor Eagleye… Better get a thicker skin if you are going to post in this forum. Lame Social media. FOMO. Fear of missing out. People see a selfie and want to have that experience without putting in the time and effort to do it safely. You can’t move a mountain….. I realize this guy is a humor columnist and this is his shtick, but his cynical, curmudgeonly take on the issue is like listening to my grouchy old aunt gripe about everything and everybody. I drove by on Saturday at noon through the barrels, a DEC vehicle, the shuttle bus, but not cars parked illegally. Saw hundreds of cars at the Van Ho parking lot and 46er volunteers talking with the hikers. All was well. I agree with Neil Luckhurst’s suggestions. I like Tim’s theory that many hikers looked for a mountain similar in difficulty to Cascade’s. The days of Jay Mt. being a bit of a secret were certainly over on Saturday, October 6: swarms of hikers and cars parked wherever possible. I suppose, though, that now that it has an official trail, indeed, an excellent one, there’s been a lot of publicity, including in Canada, as most of the cars parked were from Quebec Province. And spread they did…there were cars parked along the side of the road on 9 at the New Russia Trailhead. Two years ago, that would never have happened. The trailhead to Ampersand/Middle Saranac was an accident waiting to happen yesterday afternoon as usual on a nice day. What a massively poorly designed parking set up. It’s like 10 spots maybe – for two major attractions. No legal parking at all on the Ampersand side. I was really nervous driving my boat trailer through there. As my husband and I drove past the cones place to disallow hikers form going up Cascade last weekend, I was upset since our grandchildren my never get to to climb this beautiful peak as it seems adding 4 miles each way to the trip seems more reasonable to some. Would it be possible for us to drop them off with their dad or will the old trailhead be permanently closed off? What a shame!! How about building a parking lot? Shuttling just doesn’t seem reasonable to us. Climbing during off peak times might be reasonable alternative too. As we do not live too far away, would that be possible? If DEC does close the trailhead permanently, there would be nothing stopping you from making a short “bushwhack” to the trail, which, for now, would likely still be marked and easy to follow to the junction of the new trail. It is still public land and you are free to use it – on the trail or off. As you say, you will need someone to drop you off and pick you up unless there is a shuttle running. Why would shuttling be “unreasonable”? You can climb any time you wish. Just be prepared for extreme conditions in any weather. 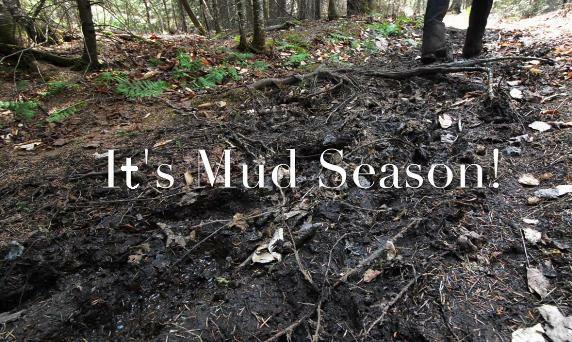 It is best to avoid mud season to help minimize trail erosion. Another important consideration if you DO drop-off and hike the old trail, NO ONE will know you are in there once the trailhead sign-in is gone. You will be responsible to make sure your driver knows your plans and your route, and to contact DEC if you are not out of the woods at the designated pick-up time. So your level of preparedness and planning needs to be appropriate. They may be walking further along the road but they are doing that (or at least most of it) in an area where there are now no parked vehicles. Thus they shouldn’t have to be “dodging traffic” – the traffic shouldn’t be where they are walking! Sorry Billy but that’s not correct. Where the State plan has pushed the people to walk is an area where there are no shoulders anyway (uphill by RBF). The guide rail is right on the white line; very dangerous walking. I drove by Roaring Brook Falls the other day, and it was a traffic safety nightmare – directly created by the current State parking intervention. Brendan, you are right. An inclusive planning process taking into account multiple factors would be best. But we all know that is not going to happen. In the meantime, this situation is not really that difficult to manage, for professional managers with an average level of planning skill. Maybe we should start by not doing what we are doing now, which is obviously stupid and dangerous, and was clearly and publicly predicted to be stupid and dangerous. It does not require a focus group or a complex planning process to simply listen to input, and not do things that are obviously stupid. Ok, then the writer is wrong – that sentence (which clearly includes the words ON THE SHOULDER) is what I had to go by. 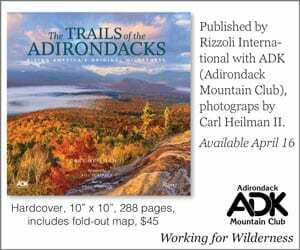 Actually (if the map is correct – it looks like the Roaring Brook Falls trail is across from the Ausable Club, part of the trail to Giant?) – that area didn’t seem that bad in the colder seasons. Cars were parked only on one side (having filled the lot that the Ausable Club has and the one across the road, which is what should be the trail in question), so people could cross & walk on the other (and there was a shoulder at that point). If people had issues walking there, it would definitely be those walking not paying attention. I live here, and drive through there at least a couple times a week. I have watched the situation unfold for years now. (No part of this “problem” is “new,” and those who try to excuse the mismanagement by claiming that this took the state by “surprise” are just apologists.) So I have first hand knowledge of exactly what’s happening there. Fingers are crossed that no one gets hurt before the state finally comes to its senses (if it ever does). Hiking license. End of story. I rest my case. @adirondackjoe. 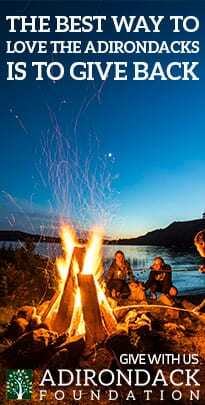 If you please, provide proof that a license for hiking compels anyone to become a better steward of the back country, performs any educational function on a continuing basis, provides for anything other than a money grab and a barrier to access. Show the good readers here by way of example: How renewing a Drivers license continually educates/informs or aids in drivers or how a Fishing license continually educates/informs or aids anglers to become better stewards or become better anglers, or a Hunting license for that matter. I just received my NYS Boating Saftey Certificate after passing the 60 question exam missing only 1 question (98%). I took the test again after 3 weeks and barely passed. Please provide proof that a Hiking license will magically solve parking issues, magically educate licensees upon renewal and compel them to be better Hikers and magically make them park their vehicles better. Ever been to Baxter/Katahdin? (controlled access). How about the PCT, Muir Trail, Halfdome, Whitney, and most national parks? Seems to work. More and more sapiens…seems inevitable. No. 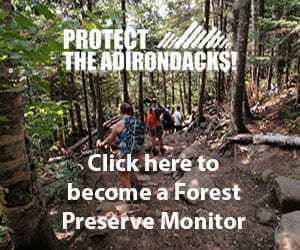 The Adirondacks are not a national park. Matter of fact, many of these national parks (I think like 3 of them) could fit inside the Adirondack Park simultaneously. The belief that a license supports anything other than a barrier to access and a money grab is absurd. Point in case: Explain to the good folks here how a hiking license would perform any useful function if everyone owned one. If everyone owned a hiking license, then its objective use (if anyone could provide that, I am all ears) would simply vanish into thin air. After that, then only thing remaining is the money grab. Licensing doesn’t posses some magical force to compel people to do anything, ever. Licensing in its most basic sense is nothing more than a draconian, third reich, control mechanism – “show me your papers” scheme. Nothing more. A license cannot, will not, will never compel one’s choices. You just can’t legislate morality. A license will certainly not make people better stewards, hikers, parkers of vehicles etc. If you want a National Park to equal in size the Adirondack Park you have to go far across the country – to Alaska. Denali is the same land area (approx. 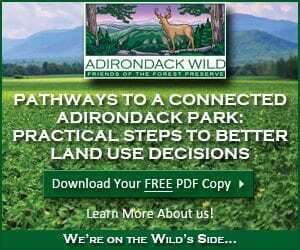 6 million acres) as the Adirondack Park. Dreamer: I think you miss the point of these other places requiring a permit. It has nothing to do with “compelling choice or morality”. It is simply a way to limit use, which works, and is often a good thing. @Eagleye. My comment name in this forum is adkDreamer, not Dreamer. I am not fond of ad hominem attacks, be it ever so slight, it is simply annoying and immature. Your entire first sentence is unnecessary for the same reason supra. 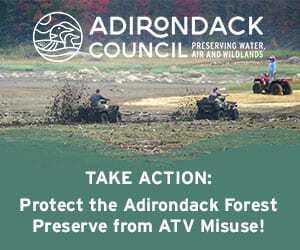 I am not interested in a discussion involving the schemes of other places; If the State of New York employs the same tactics as ‘other places’ to stand up barriers to access, well then Adirondacks is just another place to be avoided. One might say that the marketing efforts of NYS are partially responsible; Attracting more people here without adding/enhancing/advertising other less traveled areas within the park equally. Licenses, permits, pass and fees are all one in the same: barriers to access and a money grab. New Yorkers collectively own the state lands and pay for it continually, hence should not be expected to accept yet another tax. Its use or misuse is a consequence of choice and its stewardship is absolutely a moral choice. What is the penalty for hiking without a permit? A fine? Who checks for one’s ‘papers’? 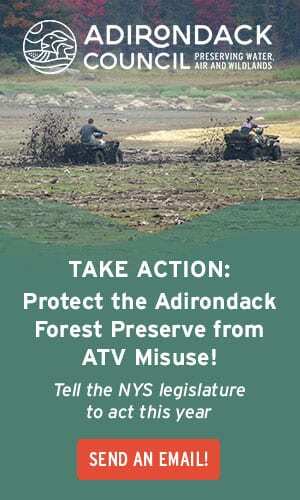 Ultimately a hostile environment will have been constructed and the Adirondacks will loose much in the balance. For those select areas that are experiencing alleged over use, there is only one clear solution that works every time: Offer another equally attractive setting that competes with the current popular settings in another location within the park. 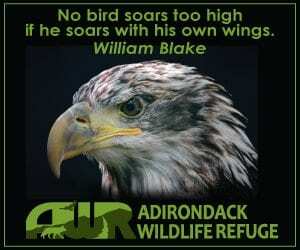 Solutions should be firmly rooted in accommodating people, not discouraging them or restricting their movements in what I am led to believe is a free country, a free state and the free Adirondacks. Preserving freedom of movement is the one last bastion of uniqueness the park has to offer; subscribing to constriction is a tyrannical force which eventually pleases no one. Not a fan of licenses either. I recently read that less than 50% of the deer killed are reported in New York State. So much for licenses and supposedly “educated” sportsmen following the rules. That’s half the hunters ignoring a major regulation. A few years ago I had to take a boating safety course to get my NYS certificate and it was a sad joke. 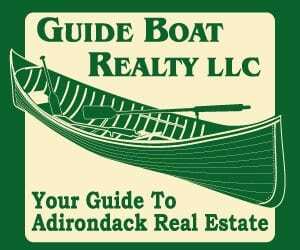 Some of the information presented was factually incorrect, and much of it was of a technical nature that had no real bearing on actual boating safety, like what blood alcohol percentage triggers what violation, etc. 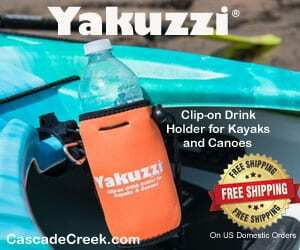 There was very little information on paddling safety or sailing safety–it was totally oriented towards small motorboats. Just pointing out that education and licensing don’t guarantee actual knowledge. Witness all the terrible drivers on the roads. And there’s up to a $250 fine for not reporting game taken, yet 50% ignore the law. What makes you think the illegally killed deer are killed by people with licenses? All you need is a gun or a car to kill a deer. You don’t need a license to kill a deer – just to do it legally and responsibly. Does it matter? This is an indication that a long-standing licensing program with important regulations is widely ignored by the sporting public. I suspect an unpopular hiking license regulation that makes no sense would be equally ignored and violated. Apparently there is inadequate enforcement too–another task that should require more DEC staff, and despite funding there are not enough. 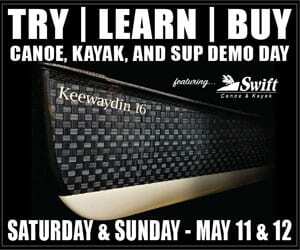 Just because you didn’t learn anything doesn’t mean a newbie to boating wouldn’t. For what was the certificate required? I don’t boat any more – are licenses/certificates required now? I took the course 30-40 years ago and learned a ton – but I was a newbie. It was put on by a NYS chapter of the Coast Guard. Learned about ROW and harbor rules, lighting rules, and some basic safety rules. But it was just a 4-hour course, not a test to get any kind of license. At the time it was recommended for anyone operating small craft to make sure you were aware of the basic rules and safety. So I guess my point is, perhaps boating safety courses vary by the people offering it and its scope of content and purpose. If required by a licensing board, just as in any professional license, the course content would need to be pertinent and specific. Otherwise, as you say, there would be no point to requiring it. @Boreas. Sorry there is no available REPLY to you most recent comment in the post. Your attempt to play the victim card via “…You are mighty sensitive for someone who attacks me with every comment I make – or anyone else who disagrees with you.” is a false statement. Prove to me this is true that I have attacked every comment. Throughout several article posts, the subject of hiking licenses was created by your own construction. I have nothing to do with its creation. All I have ever asked for is supporting evidence of your claim. Again, now for the 4th time, in the same number of articles, there has been no supporting evidence provided by you or any one else. What you apparently have an aversion to is supporting your claim, and you appear to be abhorrent to answering a direct line of questioning regarding licensing. So apparently you have redefined the word “question” as “attack” as a matter of convenience to throw up your victim card as a defense. It is so simple to support a claim when you have supporting evidence. Alas, for all to see once again, your claim is unequivocally defeated by your own deeds, or in this case the lack thereof. It is quite entertaining to read your responses that miss the mark every time and never stay on message. Throwing mud at the wall to see what sticks is hardly useful, but fun for all to watch as you bury yourself in your self constructed delusion that a hiking license will somehow magically educate people on a continual basis. Or simply watch the movie starring Leonardo DiCaprio – drives the counterpoint home in an entertaining manner – especially with respect to his alleged passing the BAR exam and obtaining a license in Louisiana to practice law. Again, with emphasis, Frank Abagnale’s exploits clearly illustrate the obvious weakness of licensing as a tool for anything well intentioned.